Fiesta Key townhouse with tile floors on the 1st floor & Berber on rest of home. 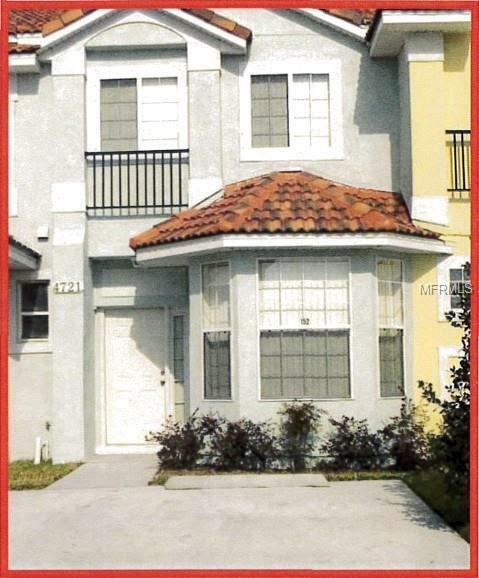 This is a two story unit with all the bedrooms upstairs. There is a living/dining area as well as a breakfast nook in the kitchen. Light bright and airy floor plan with sliders opening to the large screen porch that backs to community pool. Tons of storage in this home with an under the stair closet, inside laundry room, and closets galore! Gated community with clubhouse. Can be long-term or short-term rental. Works well for both uses as it's located close to attractions as well as major highways and stores. Some pictures show the home as a short term rental that was the previous use. It is no longer furnished, but all major appliances are included. Additional Lease Restrictions Buyers Agent To Verify Leasing Restrictions With Hoa. Pet Restrictions Buyers Agent To Verify Pets With Hoa.